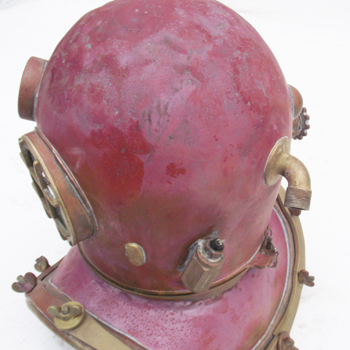 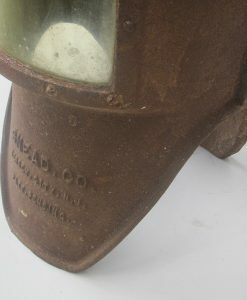 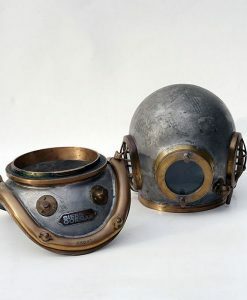 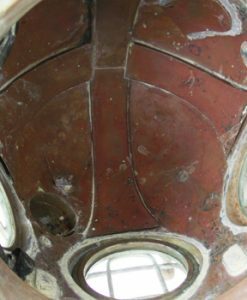 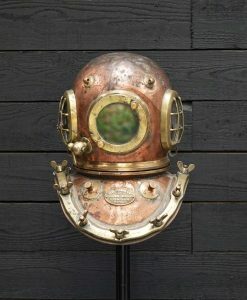 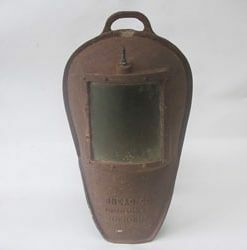 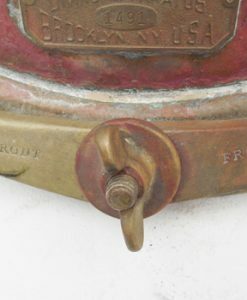 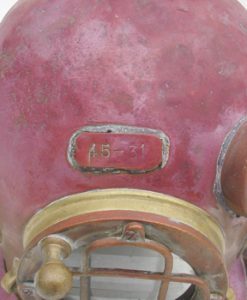 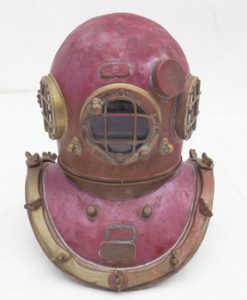 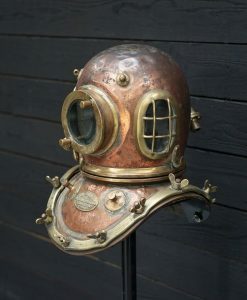 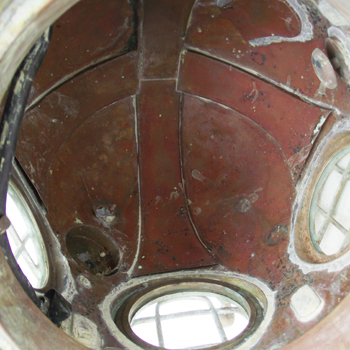 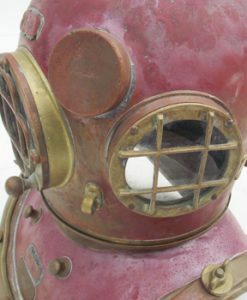 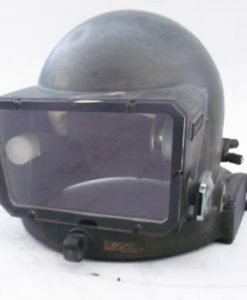 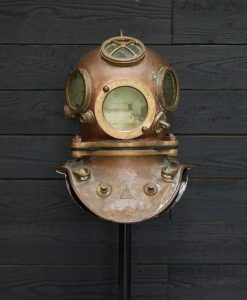 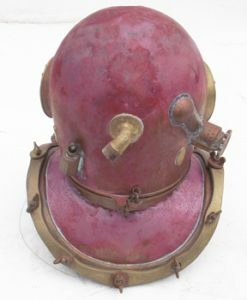 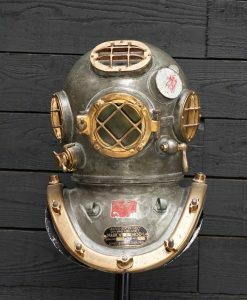 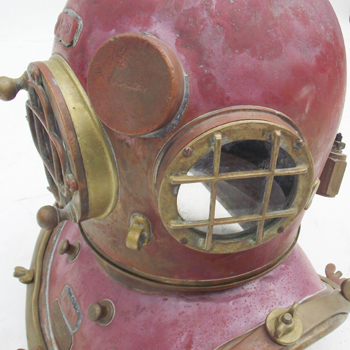 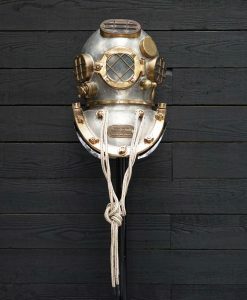 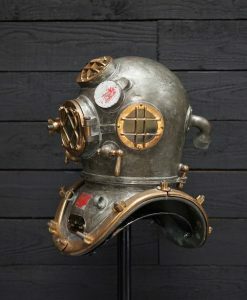 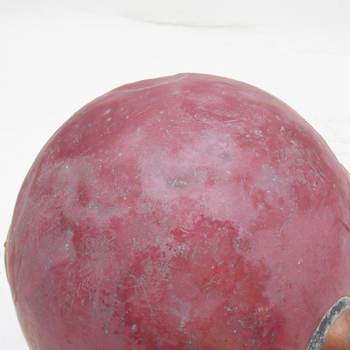 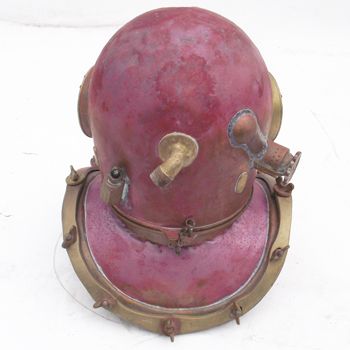 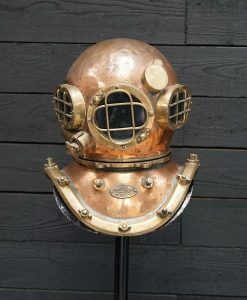 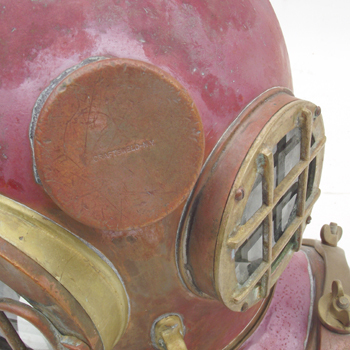 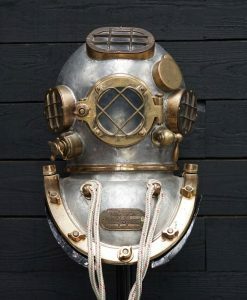 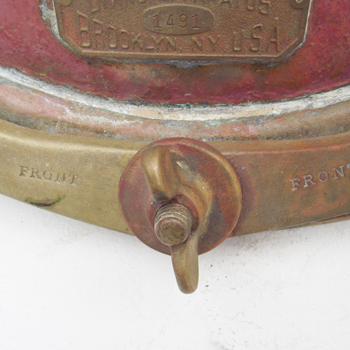 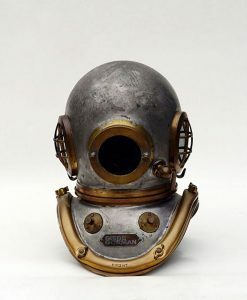 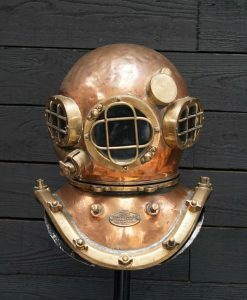 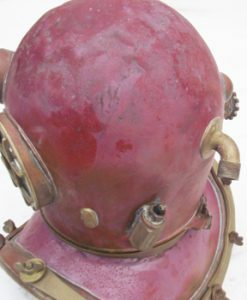 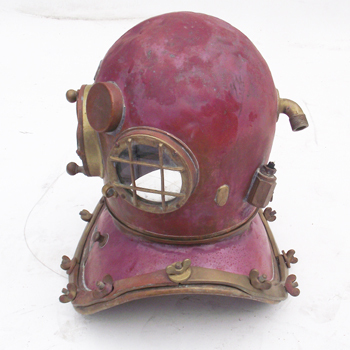 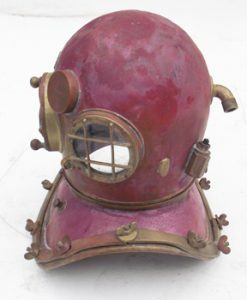 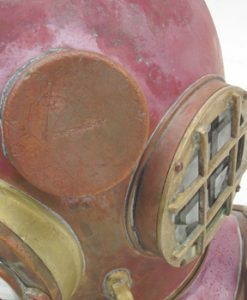 Circa 1930s Schrader 3 light 12 bolt Air helmet no 1491. 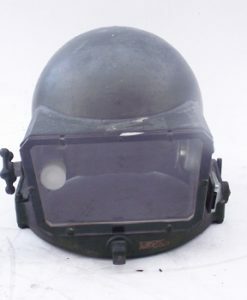 The helmet is fitted with a Craftsweld comm box. 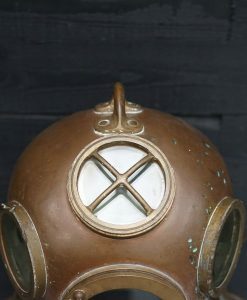 It has air intake , telelphone connection , air exhaust and locking device. 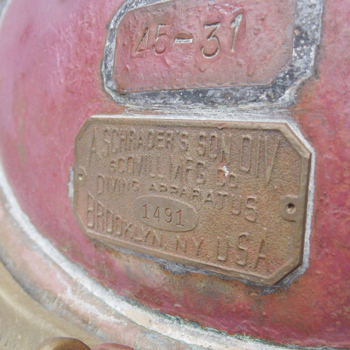 The badge on the front clearly reads A Schrader’s Son Div Scovill Mfs Co Diving Aparatus Brooklyn N.Y USA. 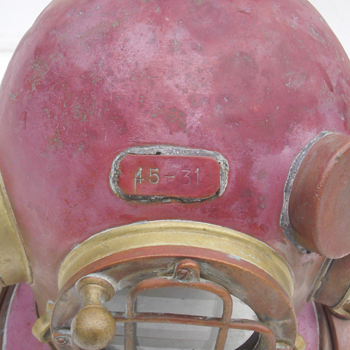 Schrader is one of the oldest names in U.S. diving, second only to Morse. 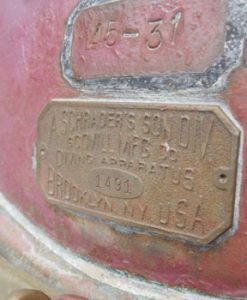 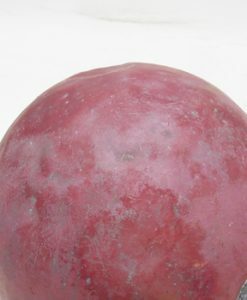 The founder, August Schrader was a creative and inventive German immigrant who originally set up a shop dealing in rubber products in New York City, NY in 1839, only a few years after A.J. 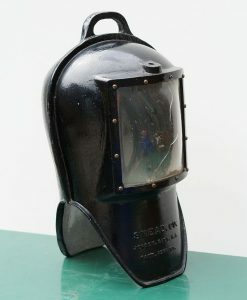 Morse set up shop in Boston. 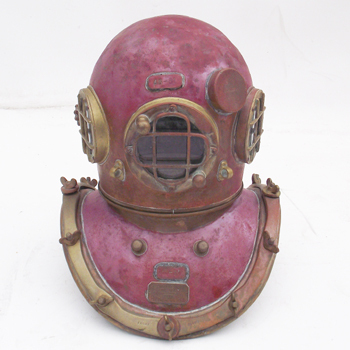 Great collectors piece, rarely available. 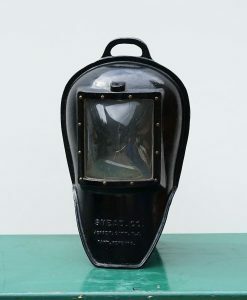 If you would like larger images, further information or a freight quote , please contact us.